Do you love wire twisting? Did you take Nancy's Basketweave class? Take it to the next level in freeform wire weaving! 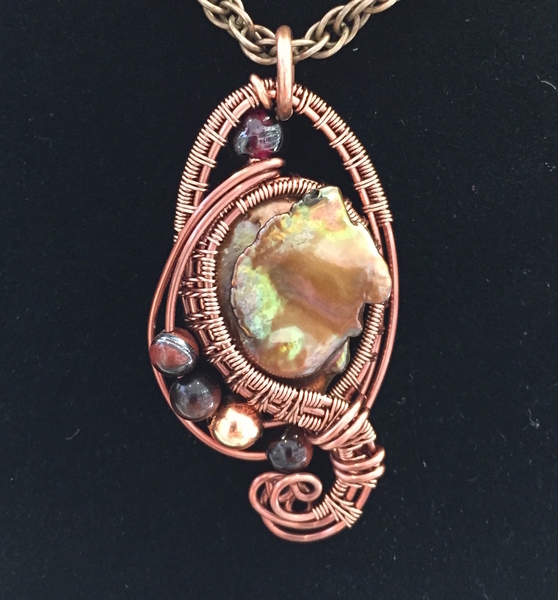 Learn several weave patterns and variations, incorporating them into an elegant pendant design. 3 hour intermediate class. Supplies and tools are provided. Prerequisite: Please take Basketweave Pendant class first as this will familiarize you with the concept and techniques. Please sign up in advance to save your spot and help us prepare for the class.